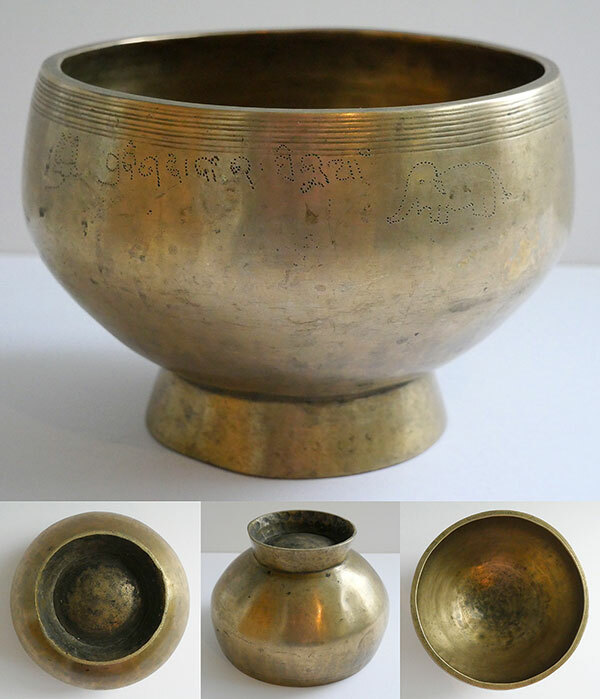 This is a good quality antique Naga or Pedestal Singing Bowl with a nice middle E fundamental when struck or played around the rim with a suede ringer. It is well constructed and has the typical shape of this interesting and now quite rare bowl type, with multiple decorative bands around the outer rim. It benefits from an excellent dot-punched inscription set between a lotus and an elephant. It is in excellent structural condition, clean and stain-free.